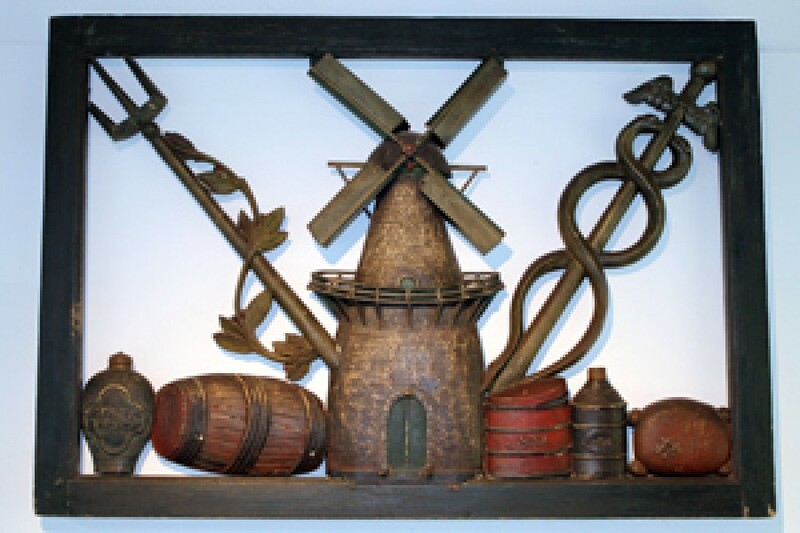 Our museum collection contains unique pieces from the Dutch mill history. 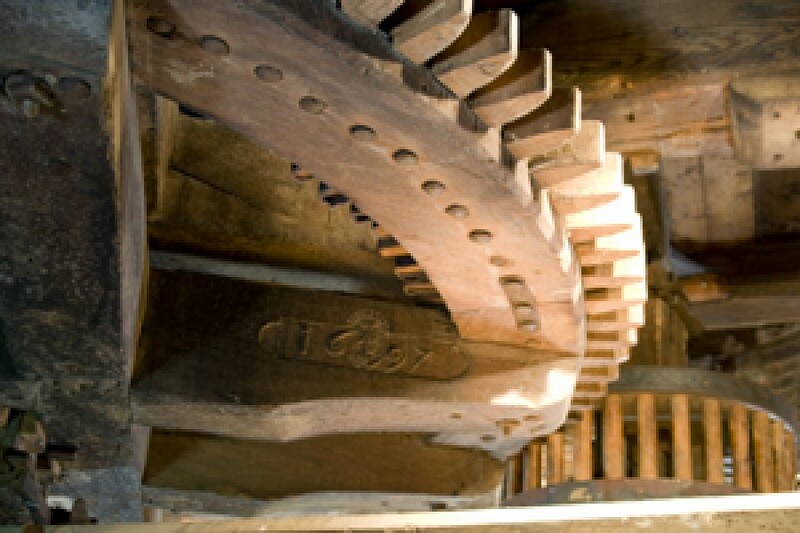 Below you will find some collection pieces that we have highlighted for you, plus some highlights that you should not miss during your visit to our mill. Molen de Valk has a height of 29 meters and is one of the largest mills in the Netherlands. 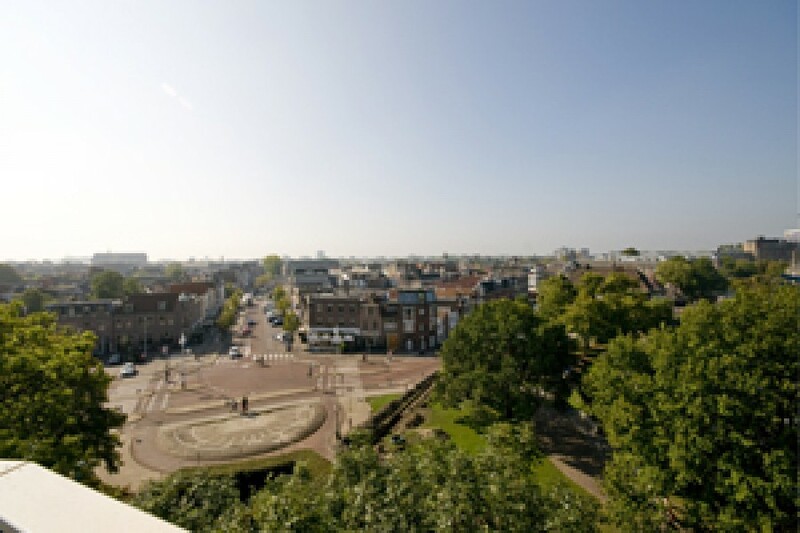 It is obvious that from the proposition on 14 meters, you can enjoy a fantastic view over the old town of Leiden. During the 'founding' of the mill in 1743 it gave plenty of room for two separate houses. 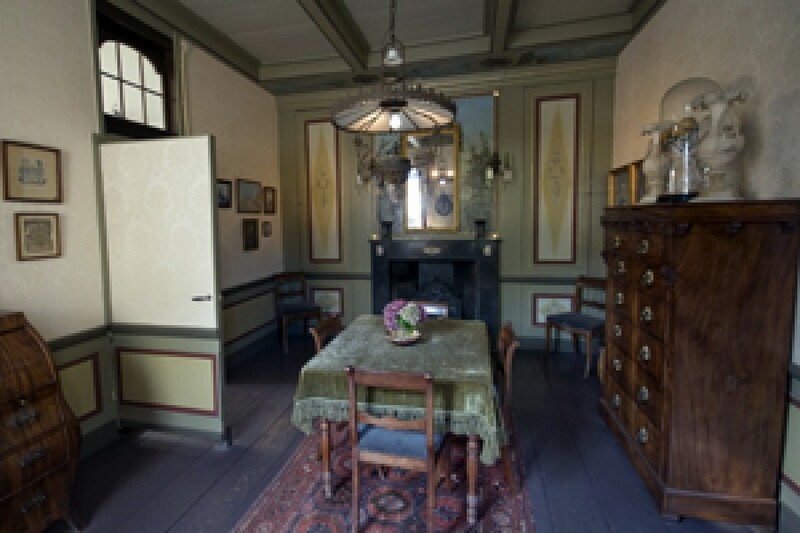 When the mill was owned by the Miller family Van Rhijn in 1869, they renovated the rooms to create one house. This new format, with a 'nice room', lounge room and kitchen, and its furnishings is largely intact. This is unique in the Netherlands. 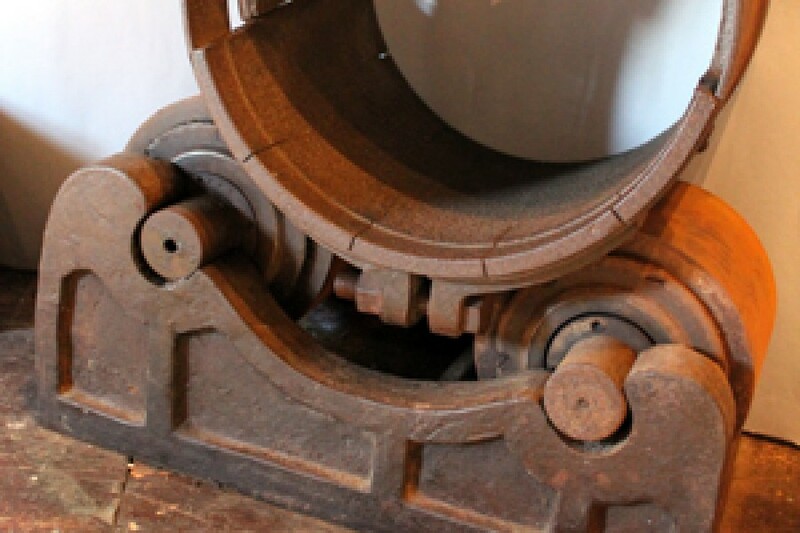 This to the designer, mr. Dekker, said bearing for the upper shaft was intended to replace and improve the traditional shaft bearing by means of a neckstone. Unfortunately, the design, with the use of the then available knowledge and materials, proved insufficiently reliable and remained a prototype. 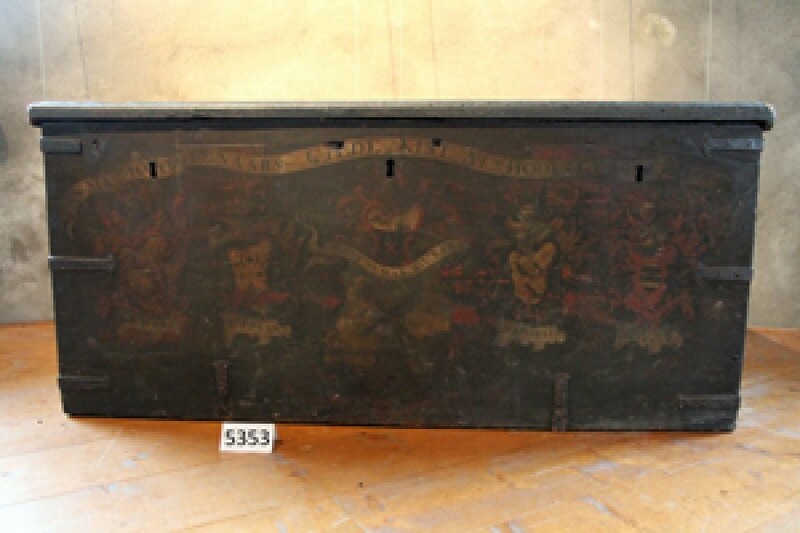 This coffin, in which the pieces and finances of the Rotterdam Miller's Guild were kept, has three keyholes for three different keys. These were kept by three different persons, so that the box could only be opened in the presence of these 3 members. An effective form of control. 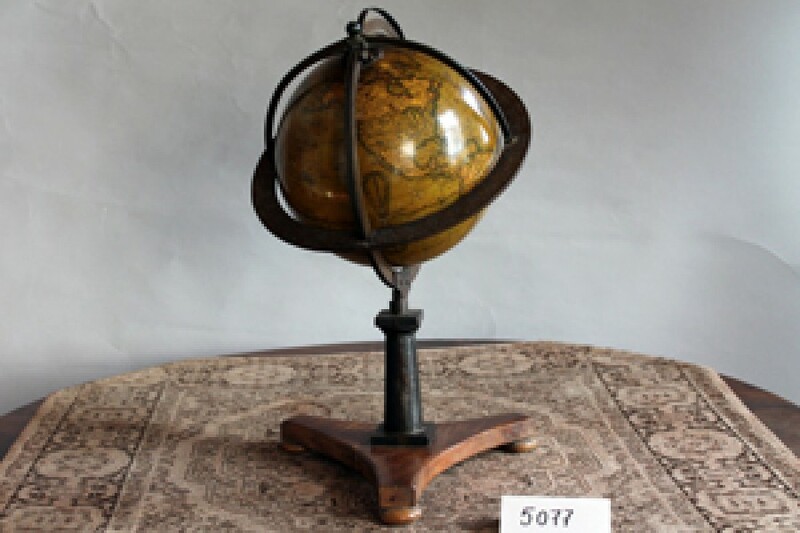 This so-called 'Newton Globe' from 1817 is located in the miller's house. A special one because of its size (smaller than usual). To be sure that the quality of the delivered grain was good, the miller could check the contents from bottom to top by means of "one stitch" in the bag of grain. An upper light (window above a door) coming from a snuff mill. In such a mill tobacco was crushed into snuff tobacco, to which, among other things, a medicinal effect was ascribed at the time. That is why, apart from the Mercury staff as a symbol of trade, the Aesculaap is also depicted to represent this (supposed) medical aspect. 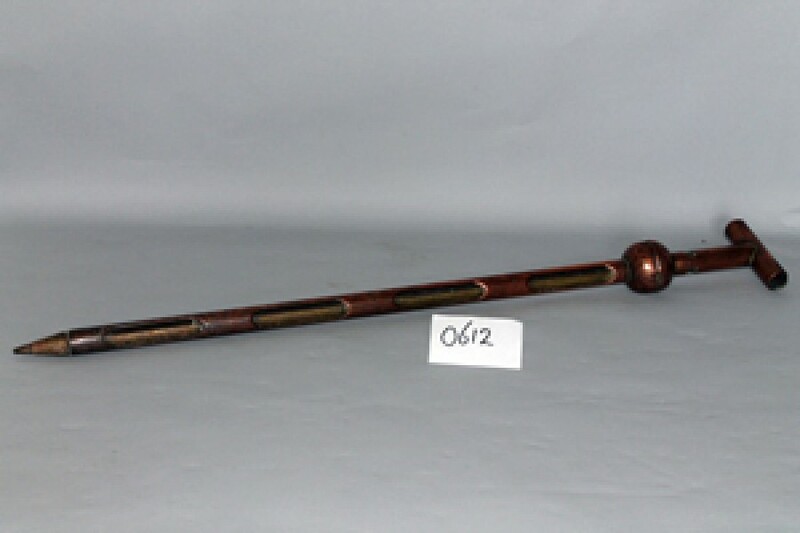 Outside on the site is a broken, cast iron upper shaft. 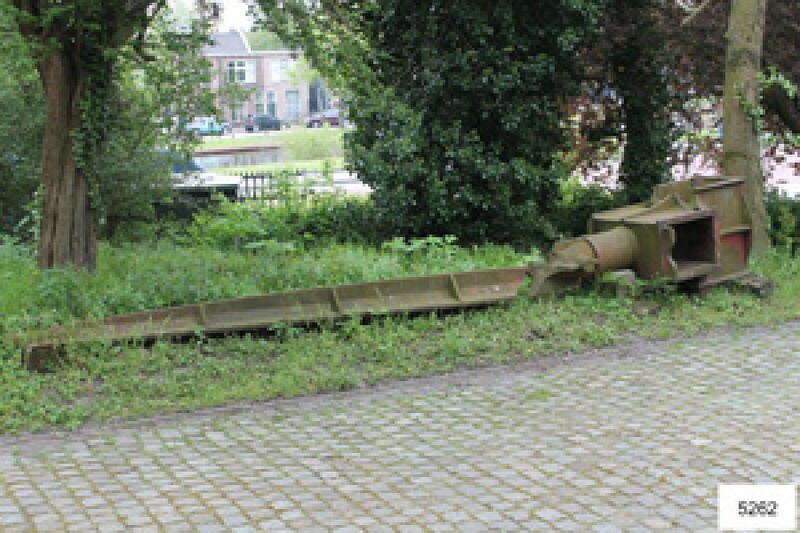 The shaft, which is similar to the shaft of De Valk, should have served in the hood of one of the polder mills in the mill quarter of Aarlanderveen, but slipped from the hoist during the lifting and broke in two.